This article gives you complete details about the FIFA Club World Cup 2011. More details about venues and qualified teams for 2011 FIFA Club World Cup is given in this article. Read the article full for more details. FIFA Club World Cup 2011 will be the 8th edition of FIFA Club World Cup. Venue of FIFA Club World Cup 2011 is decided to be conducted in Japan. The starting date of FIFA Club World Cup 2011 will be from 8th December 2011 and ends on 18th December 2011. In 2009 and 2010, UAE has hosted the tournament and in 2011 it's changed to Japan. There will be 7 teams participating in the tournament. Currently there are 4 qualified teams for 2011 FIFA Club World Cup. There will be Play off, Quarter finals, semifinals and finals in the tournament. Approximate prize money for the tournament is Euro 12 million. Top 7 clubs from different continents will face each other in the tournament. More details about the qualified teams and venues for the matches are given below. 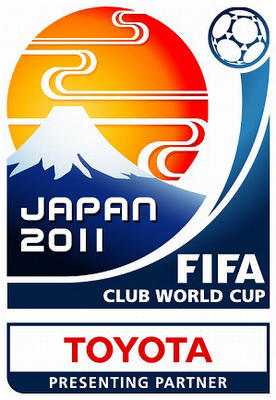 There will be two venues in Japan where FIFA Club World Cup 2011 will be held, they are given below. This article contains the details of Goal scorers in FIFA World Cup 2010, total goals scored, Golden Ball Award winner, Golden Shoe Award Winner, best young player and Golden Glove Award winner in Fifa World Cup 2010. This article gives you latest updates of 2014 FIFA world cup, which is to be held in Brazil, is given in this article. More details about the venues and qualifying information is also quoted in this article. Read the article full for complete information.